Cell phone signal is what connects one user to another across networks. Signal reaches a cell phone to facilitate communication in essentially the same manner that two-way radios communicate — via a signal transmitter and a signal receiver. When you’re talking on a cell phone, it converts your voice into a signal that is transmitted via radio waves to the nearest cell tower. The cell tower then relays the radio wave back to the person you’re speaking to, converting it first to a signal and then back to sound again. When cell signal is strong, that all happens seamlessly and users don’t give it a second thought. But sometimes cell signal is weaker, and that’s when we experience dropped calls and stalled data transmissions. More than 95 percent of the population owns a cell phone today, with smartphones accounting for 77 percent of that ownership. Much of the time, those phones work reliably and as expected, meaning calls and texts can be made and received, and data can be sent and downloaded. While so many of us rely on cell phone signal in our daily lives, most of us don’t have a solid understanding of where that cell signal comes from or how it works. How is cell signal measured? Cell phone signal strength is measured in decibels (dBm) that are received by a mobile phone from a cellular network. Signal strengths usually range from approximately -30 dBm to -110 dBm. The closer that number is to 0, the stronger the cell signal. Any signal that measures better than -85 dBm is considered to be a good cell phone signal strength. Most mobile devices show a set of bars to display the signal strength that the device is receiving. In reality, however, those bars on your cell phone are not an accurate measure of signal strength. That’s because there is no industry standard for what a bar represents or whether it measures your 4G data or 3G voice performance. Therefore, two bars worth of coverage on Verizon’s network may be three bars on Sprint’s, for example. Aside from carrier differences, the number of bars you see can vary based on how you hold your phone, your phone manufacturer, and even previous activity on the device. If you’re really curious about the signal your phone is receiving, determining the dBm on your own phone is a far more accurate measure of signal strength than relying on the number of bars displayed. Depending on your device, there are different ways to do this, including using the field test mode available on Android and Apple iOS devices. Field Test Mode on iPhone gives users detailed information about their signal and cellular connection, and providers. Field Test Mode displays the cell signal on iPhones as a number rather than as signal bars or dots. However, with the release of iOS 11 and newer iOS devices, this feature works differently than it used to. 2. Press the “Call” button to dial the number, which will launch the hidden “Field Test Mode” app on the iPhone. To use Field Test Mode for Android, follow these steps with an active cellular connection: Navigate to the phone’s menu (menu screen locations vary by phone manufacturer, model and Android OS version). If you unable to determine your Android device’s signal strength reading by using any of these methods, check your device operations guide. There are also apps available from the Play Store, such as SignalCheck Lite, which may allow you to read your signal strength as well. Remember, the closer your dBm number is to zero, the stronger your signal. For example, -100 would be a very poor signal and -50 would be a strong signal. Cell signal is strongest when phones are in close proximity to cell towers. There are relatively few areas these days that don’t have some cell tower infrastructure close by; however, there are many environmental factors that can impede that cell signal from reaching your phone for a reliable connection. You’ve likely experienced dropped calls, or have been in the midst of sending or receiving a message or document only to have progress come to a screeching halt. Maybe it happens when you’re driving through a tunnel, riding the subway, entering a parking garage, or stepping into an office building, but at one time or another, we all enter the dreaded “dead zone”. In fact, 72 percent of Americans complain of dropped calls, and 6 percent say they experience dropped calls several times a day, according to Pew Research. So what blocks cell signal even in areas where there are plenty of cell towers and theoretically, an abundance of coverage? In short, many things. Cell signal can be impeded by natural environmental barriers, including mountainous terrain or thick forests and vegetation. Indoors, common building materials including brick, steel, concrete and LEED-certified glass windows can hamper a strong cell signal. Furthermore, as the population of cell users increases, networks are becoming increasingly bogged down as devices compete for signal. That’s why you’ll most certainly experience a lag in service when you’re at a concert, a conference, or any other event where a large amount of people are using their cellular and mobile devices. How can cell signal be improved? If you’ve experienced the frustration of dropped calls or poor cell signal, then you’ve probably wondered what can be done to improve it. Many consumers are quick to blame their network carrier, and they think switching will be the ultimate magic bullet to fix the problem. In reality, however, the above mentioned factors can wreak havoc on cell signal, regardless of the network you’re on. While some networks boast wider-spread and more reliable coverage, even the strongest network is no match for a building filled with concrete and brick, or a mountain highway blanketed in pine trees. The good news is that, thanks to cell signal boosting technologies, cell signal can be improved even in the largest areas. How do cell phone signal boosters work? settings ranging from residential homes to large worksites. The smallest apartment or the largest commercial building can benefit from this patented technology that captures and amplifies existing cell signal. Cell phone signal boosters use a variety of antennas (depending on the location and need) to pick up signal from existing towers. Those signals are then electronically boosted and redistributed throughout the location via a network of smaller antennas. This captured signal is amplified within the location by as much as 32 times. Because boosters can be installed zonally, there are many options for how and where signal can be improved. For example, more antennas will likely be necessary in a commercial cell phone booster configuration than in a residential one. Cell phone signal boosters are either based on active or passive DAS technology. Active DAS creates cell coverage within a building by generating and distributing its own cell signal. Active DAS configurations require complex networks of fiber optics to be hardwired into a residential or commercial building. While this type of booster offers a robust and high-capacity cellular connectivity solution, the cost and infrastructure-intensive nature make it prohibitive for the majority of cellular service consumers. Active DAS comprises hardware and installation that push the price point as high as $2-$4 per square foot for a single-carrier solution. If you’re looking for a multi-carrier solution, that price can go as high as $10 per square foot. Passive DAS signal boosters, on the other hand, offer a more feasible and affordable option for the majority of cellular consumers. Because passive DAS uses existing cellular signal, installation is far less invasive and much more affordable. In contrast to active DAS, passive DAS solutions typically cost between 30 cents and 70 cents per square foot, including hardware and installation. Furthermore, passive DAS solutions can be carrier-agnostic, meaning all users can benefit from these boosters, regardless of their specific network carrier. Passive DAS captures existing cellular signal from nearby cell towers via donor antennas and routes the signal to a cellular booster where it is amplified then redistributed throughout the area via smaller broadcast antennas. In order to choose the proper antenna for a particular location, it’s important to conduct a site survey to determine where signal is strong and where it is weak. Many people rely on their cell phones to assess coverage in different areas, but as mentioned earlier, the bars on your cell phone are a misleading measure of cell signal strength. 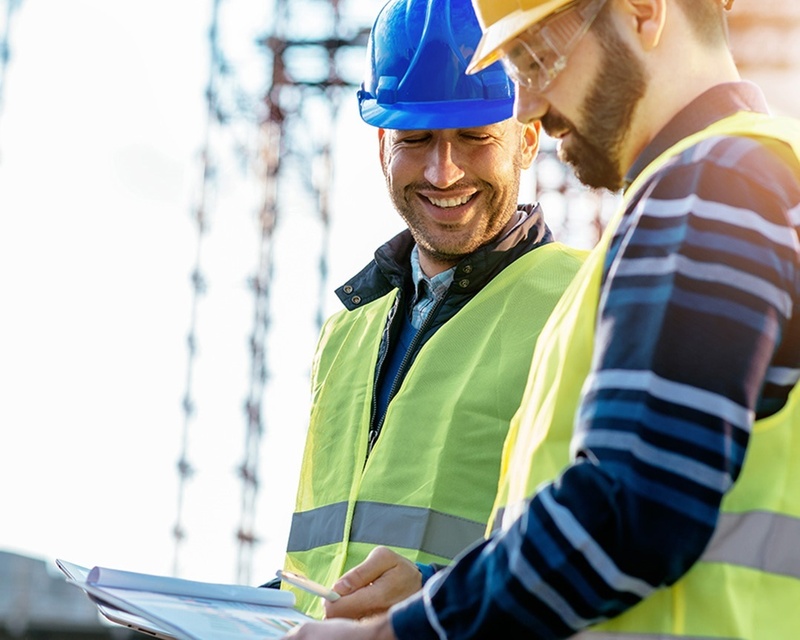 A site survey more accurately determines the source of the strongest cell signal, and provides valuable information as to where a donor antenna should be installed for maximum efficacy. A survey also tells the person installing the booster how much cable and other accessories will be needed. A proper site survey requires the use of a signal meter. This is handheld device used by professional installation experts to detect and displays signal frequency, bandwidth, and strength with total certainty. the roof or near a window, bring in the outdoor signal. Installing broadcast or “inside” antennas on the interior wall (panel antennas) or ceiling (dome antennas) help transmit the amplified signal to phones and other cellular devices indoors. There are two types of donor antenna — omnidirectional, or omni antenna, and the directional, or Yagi antenna. Omni antennas are capable of receiving radiofrequency (RF) signal from any direction. Yagi antennas — named after Japanese engineer Hidetsugu Yagi — are highly directional and receive RF signal from one specific direction. To determine which type of antenna will best boost the signal to a location, the installer will need to determine where the strongest signal is coming from and what may be interfering with that signal. Many cellular consumers rely on Wi-Fi when their own cellular connection fails. However, the use of unsecure, or even password-protected Wi-Fi can put data that may be uploaded or downloaded at risk. Wi-Fi networks are inherently more susceptible to data snooping and cyber-criminal attacks. Cell signal boosters improve signal while keeping your data secure. In addition, the strong cell signal these boosters provide result in faster upload and download speeds than Wi-Fi connectivity can provide. The nation’s top cellular network providers have shifted away from solutions that are network-specific, and are now endorsing carrier-agnostic solutions, which enable every user to benefit from the existing infrastructure, regardless of whether they’re with Verizon, Sprint, AT&T, or T-Mobile. 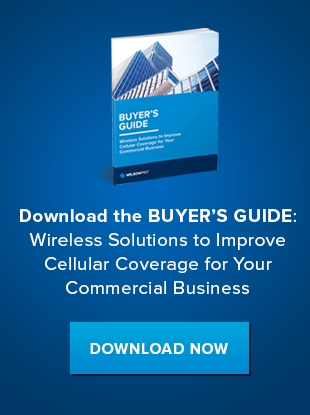 We’re seeing the end of the days where cell towers were owned by specific carriers since major providers have realized the advantages of solutions that improve cell signal for the benefit of every user. In the past, carriers were concerned about protecting their networks from boosting solutions that would shut down entire networks. But thanks to Federal Communications Commission regulations mandated in 2014, there are now standards to prevent this from happening. 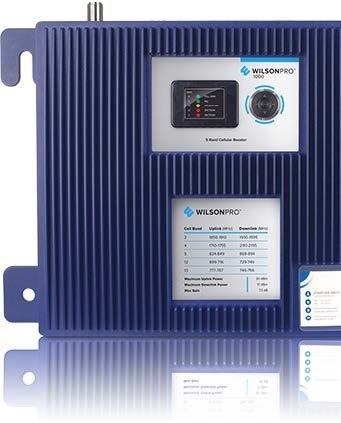 WilsonPro is a leader in passive DAS cell signal boosting solutions, and worked in close partnership with the FCC to create the standards that govern cell signal boosters today. Those FCC guidelines coupled with the advancement of passive DAS technology, have resulted in a win-win for both carriers and customers. And while 5G is still a ways off, carrier-agnosticism plays a key role in the progress towards the reality of a true 5G network. If you’re interested in improving cellular signal in your own home, or if you are a building manager or owner that needs to improve signal for tenants, WilsonPro can help. We offer a variety of passive DAS solutions that can be configured to improve signal to buildings and spaces of all sizes. Contact us today to learn more, and start reaping the benefits of reliable cellular connectivity. Get a copy of the guide to take with you wherever you go. Click below.